At its most simple, insurance bad faith occurs when the insurance company breaks an agreed upon promise. The law requires insurance companies to act in good faith and fair dealing with the person or company they insure (insurance policyholder). If the insurance company fails to act in such a way the policyholder may be able to file a few different types of claims against the insurance company in order to force them to act and/or pay damages for their bad faith actions. Reduced or Refused Payments – When an insurance company refuses, delays or discounts a payment without a reasonable basis for its actions. Lack of Investigation – If an insurance company fails to pay a normally covered claim due to their own lack of a proper and prompt investigation. Lack of Action – When an insurance company is presented with a claim that includes proof of loss and they fail to affirm or deny the claim. Deliberate Misinterpretation – This occurs when the insurance company willfully misinterprets the language of the police in order to avoid paying the claim. Unreasonable Demands – When an insurance company requires unreasonable proof of loss. Abusive Behavior – Sometimes an insurance company will act in bad faith if they are abusive or coercive in attempting to convince someone to settle out of court. Lack of Policy Details – When an insurance company fails to disclose various details of a policy including policy limits, provision and exclusions. Failure to Communicate – This can include a wide range of things including settlement offers or demands not being properly communicated. Interference – Included here are many different tactics including preventing attorneys from receiving proper information, stopping information from being sent to policyholders, and any unreasonable action meant to simply frustrate and delay proceedings. Improper Standards – This occurs when the insurance uses more than one set of standards in similar cases simply so they may deny a claim. There are two ways that bad faith insurance claims are carried out. In this case the insured has made a direct claim to the insurance company. The company then refuses to pay, delays payment or only partially pays the claim. An example of this type of insurance bad faith would be if a person were involved in a car accident, made a claim against their insurance to get their vehicle repaired or their medical bills paid and the insurance company refused the claim. This form of insurance bad faith takes place when a person or company has been sued and the suit is covered under an insurance policy that the company or person has. If the company/person loses the suit and the settlement amount is within the policy limits, and the insurance company refuses to pay. An example of this type of insurance bad faith might be if a person went to a carnival and was injured by one of the rides. They sue the carnival and win or settle the suit then the carnival’s insurance refuses to pay in an attempt to force the carnival pay out of its own pocket. Some insurers see acting in bad faith as a way to increase their bottom line. Many insurance companies receive thousands of claims every day. 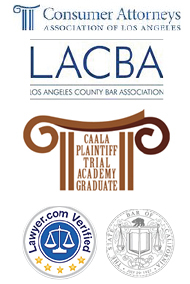 Of those that are denied, very few are ever challenged by people who avail themselves of attorneys and lawyers in Los Angeles. By systematically denying claims the insurance company can save itself a lot of money. Don’t allow yourself to be just another number on their bottom line. If you have been a victim of insurance bad faith, our attorneys and lawyers in Los Angeles can help you investigate your case and seek restitution. 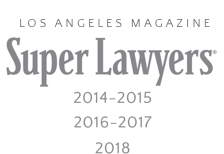 If you would like to speak to one of our expert attorneys in regards to your bad faith case you can contact LA Injury Group, Inc. here using our contact form or call us at (818) 210-4558.